Israel is close to bringing its controversial ‘Sea Wall’ which runs along side the Gaza Strip to completion, Israeli media Channel 10 reports. The project has come under international condemnation and scrutiny since it began in May 2018, at which point Israeli officials announced the massive sea barrier separating Gazan and Israeli sections of water is necessary to prevent Hamas fighters from infiltrating Israel by sea as they did during the last war in 2014. The barrier is 200 meters long extending from the shore and 50 meters wide, and is the latest in what Israel’s defense ministry is calling a security barrier to complement other initiatives, including a bigger, ongoing project to construct “underground walls” to prevent Hamas tunneling. 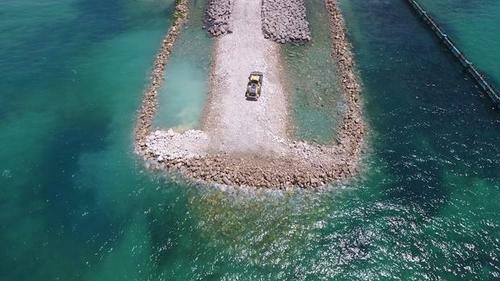 The sea barrier includes underwater boulders lining an interior concrete wall, which is further lined with seismic detectors and other high-tech classified security systems. Topping the wall is a smart fence with detectors rising to a height of six meters, or 20 feet, according to Israeli media reports. When the sea wall’s construction began eight months ago, Defense Minister Avigdor Lieberman touted it as necessary to “block any possibility of entering Israel by sea” while specifically mentioning Hamas attempts to circumvent Israeli security measures. Though Hamas attacks or infiltration attempts by sea have not been common, during the 2014 Gaza War, known in Israel as Operation Protective Edge, a Hamas commando unit attempt to infiltrate Israel from the sea at Zikim Beach, just north of the Gaza Strip. The small group of Hamas fighters “stormed the Zionist naval base on the shores of the sea,” according to Hamas claims at the time, before being gunned down by IDF soldiers on the beach. 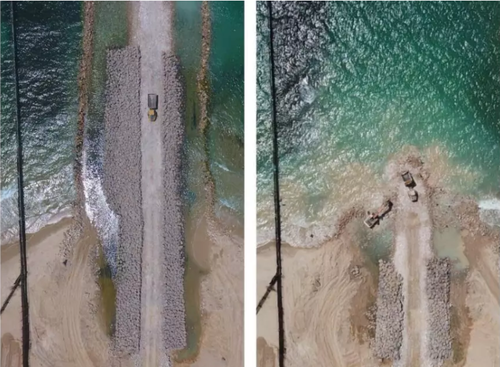 The sea wall has been somewhat controversial among Israel’s own domestic population, as its environment ministry lately warned the barrier could damage Israel’s beaches by artificially altering sand deposits along the coast. 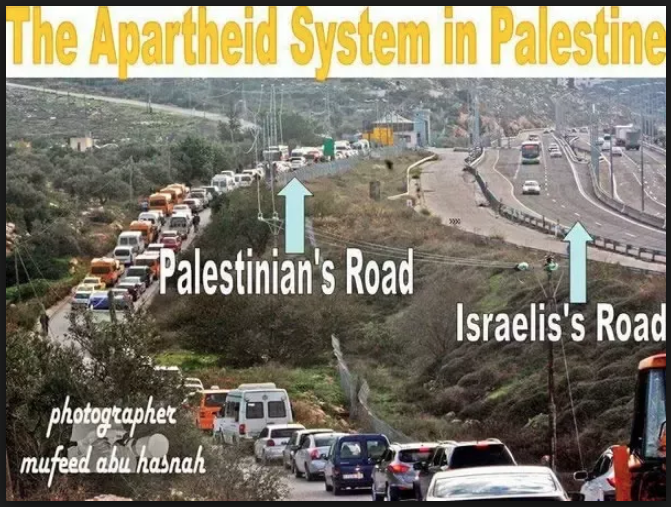 But most importantly it puts Israel a significant step closer to imposing a total air, sea and land blockade on the strip, which has been in effect since 2007. The Gaza Strip’s sea should extend to 20 nautical miles from the coast, according to the Oslo peace accords signed by Israel and the Palestine Liberation Organization, but Israel has a heavy naval presence restricting any traffic in or out of the enclave. It also limits the distance Gaza’s fishermen can travel to fish, alternating the distance between six and nine nautical miles – significantly less than the amount designated in the Oslo agreements. The barrier now closes what Israel considered a sensitive “gap” in its sea defenses just off the beach at Zikim. The barrier crosses an area of narrow shallow water that made it difficult for either Israeli ground forces or seagoing vessels to reach, through which Hamas operatives had previously successfully penetrated.